As I begin to write this post we are preparing for Hurricane Harvey which is coming to our gulf coast in less than 24 hours. We are far enough inland that we will only be getting lots of rain and maybe some high winds or tornado's. Right now the weather service says that it will be a category 4 hurricane, with a possible 35 inches of rain. Keeping the weather in mind, I will be making some meal plans this week that will be very comforting during the storm. I always take the weather into consideration when planning meals, I sure don't want to plan a cookout if it will be pouring down rain. If you are along the coast this weekend, may God be with you, and stay safe. Thanks so much for stopping by to spend some time with us today. If you are in the path of this storm, please know that we have you in our prayers and asking God to be with you. Hope you have a safe week and come back to see us soon! 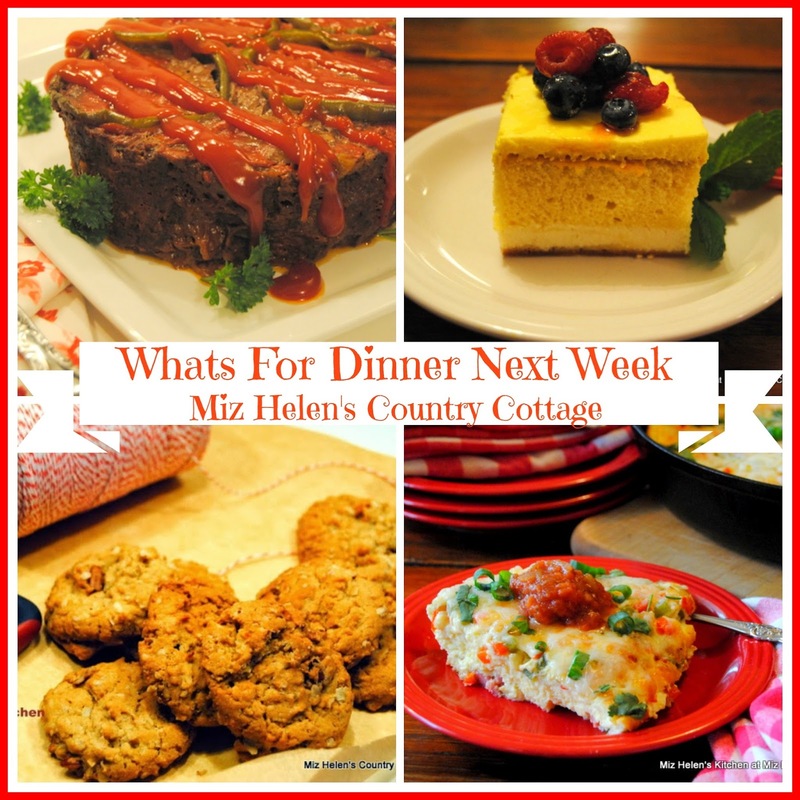 Looks like a delicious week Miz Helen! What a handy meal plan. Yum. Over from Inspire me Linky! We just made crock pot lasagna this past week but I will definitely have to look into crock pot meatloaf! 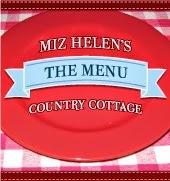 That meatloaf looks delicious Miz Helen! Thanks for sharing more recipes with us at #overthemoon link party and see you next week. I love to do slow cooker cooking - I see several here that look good! Thanks for sharing at the What's for Dinner Party!